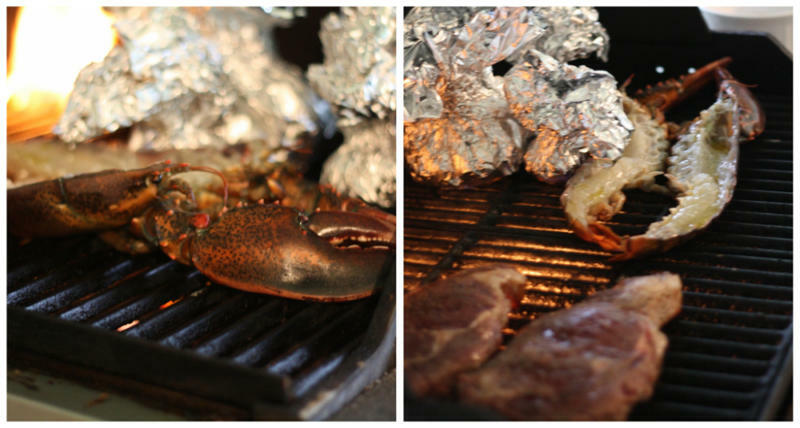 Amazingly enough, before cooking a lobster I always put them to sleep (traditionally known as the "Claw" stand). For some reason, it just seems more humane in my mind. Today I'm going to show you how I go about it. 1. Stand live lobster on his head and rub between eyes up and down constantly with your forefinger. 2. 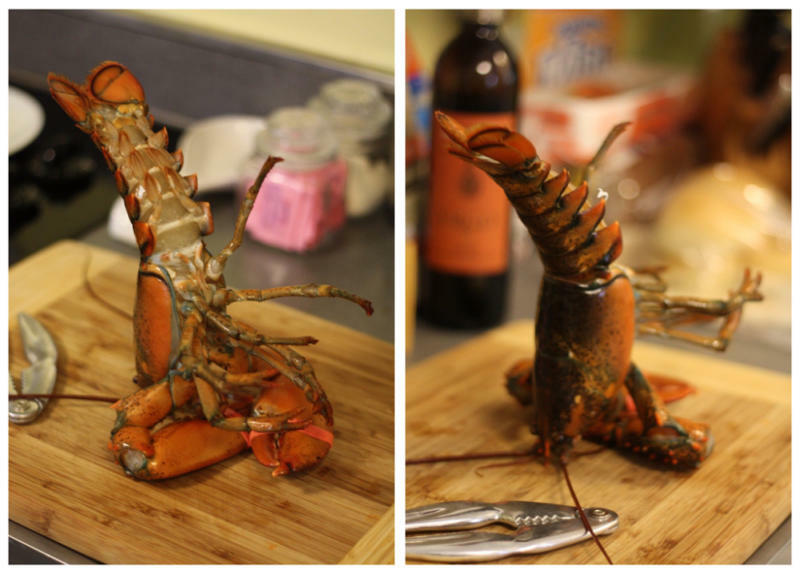 When the lobster relaxes it will stand on his own (yes it will stand on his own) and this can take up to a full minute of rubbing. 3. Once asleep and still, split lobster down the middle with a sharp knife, snip fresh chives from the garden, and mix with melted butter — basting lobsters until desired doneness.